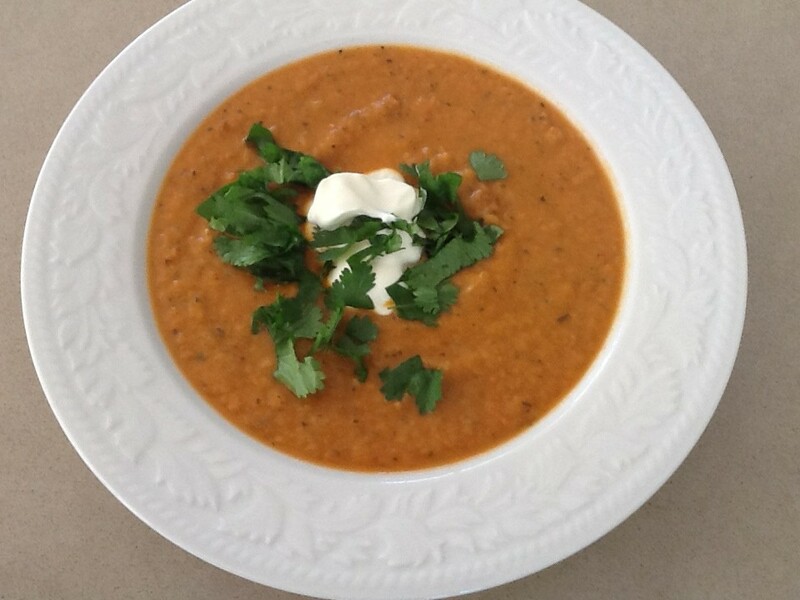 Having just picked our first Lebanese cucumber I decided to whip up a quick gazpacho and serve it for lunch 10 minutes later. I have a good recipe which makes several litres and serves a crowd, but it takes more than 10 minutes to make. So I threw the cucumber into the food processor, added some other ingredients until it tasted right, and here it is. Optional extra: some home made croutons. You can also add some red capsicum or a touch of fresh chilli. Instead of avocado top with some diced cucumber and/or tomato. 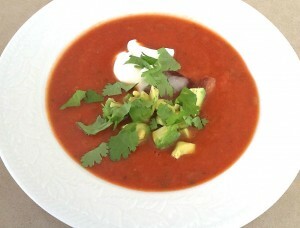 This entry was posted in Recipes and tagged easy, family, lunch, quick, soup, starter, summer, vegetarian by Linda Peek. Bookmark the permalink.